Alarm systems are a great security addition to a business or home to further protect the premises. They compliment good physical security such as solid core doors, deadlocks and window locks by deterring a would be thief. Alarm systems effectively act as warning devices and are available in many different forms, and Gronbek Security install mainly larger commercial systems but also small domestic systems. When the systems are monitored back to a base monitoring station they become much more powerful as far as deterring and reporting on any activity. This is very handy when the premises are unoccupied as reporting status of the business or home is then available. Products used in a typical alarm system include PIRs (passive infra-red detectors) which detect and measure any movement, and reed switches which are fitted to a main entry point and are used to detect if a door is open or closed. Gronbek Security specialise in security systems and use professional equipment for the best results. This is important to consider when selecting an installer or choosing equipment for your alarm system. These are the basic components found on most alarm systems available in the market today. Certain variations exist but all operate on similar principals and have comparable cosmetic appearance. Alarm systems feature a number of different devices to enable effective detection of intruders into the premises they are protecting. The mainstay of all of these sensors and by far the most common is the Passive Infared Detector. 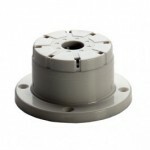 These sensors are mounted in such a way as to detect moving heat sources in a room or corridor. In this way PIR sensors can cover large areas with only one or possibly two sensors. This makes PIRs a cost effective security solution. However PIRs are limited by objects such as large boxes or even walls allowing thieves to sneak past PIRs if they are not installed effectively or if rooms are refurbished and/or conditions change. 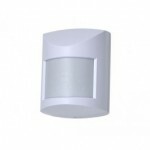 For example if a PIR is mounted in a storeroom and staff stack boxes of stock in front of the sensor it can create a problem for the PIR to detect anything or anyone entering and/or exiting the room. Another commonly used alarm sensor is the reed switch which is simply an electrical switch or contact which is operated by an applied magnetic field. Reed switches are almost always fitted to a door or window to prevent anyone from opening the door or window without the alarm detecting the entry. They are great sensors because the alarm can alert the owner of the exact entry point of their premises being compromised. However they have the added drawback of only really covering a very specific part of the premises making them relatively expensive when compared to using PIRs. This is due to the amount needed to cover an area and the added cost of an alarm with added zones to accommodate the number of reed switches needed. 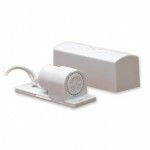 Another sensor used in modern alarm systems is the shock or vibration sensor. 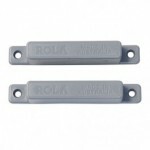 These are almost always mounted on window frames to detect the forcible entry through the window frames movement. They suffer the same drawbacks as reed switches but can be a great addition especially as some models have the dual feature of having a reed switch built into the sensor allowing a more complete security solution. Glass break sensors are being used less and less in modern alarm systems currently, this is probably due to their ugly appearance on the ceiling of homes detracting people from using them as readily. Glass break sensors however are a powerful sensor that have the benefit of less false alarms than an improperly adjusted shock sensor. However they have the disadvantage of relying on the window being broken before going off. Photoelectric or PE beams are another type of sensor used in alarm systems usually in an outdoor or large area application. Typically an intruder will need to pass between the beams to set off the sensor limiting their effectiveness somewhat, however one of their major benefits is their relatively long range making them useful for fences or large factory applications. Th e Ness KPX keypad which is the basic keypad for all Ness alarm systems. 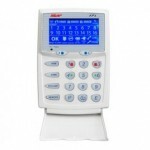 The keypad features a large easy to read display and soft tactile buttons for ease of use. The KPX features one touch arming and panic functions making it suitable for all but the most sophisticated alarm systems. The Ness Navigator Touchpad is the premium upgrade for all Ness alarm systems. 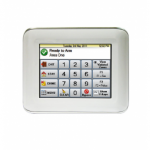 The keypad features an easy intuitive touchscreen interface making system operation easy and powerful. All zones have the ability to view zones as your own text descriptors instead of numbers simplifying fault finding and alarm verification. The touchscreen also allows the user to activate on-board relays to allow the alarm to act as a powerful automation device for lights, retic or any other electronic automation. This is a top hat screamer siren that is fitted to all our home alarms. 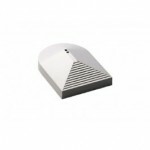 The screamer is usually mounted near a smoke detector in the home to allow it to blend in and be aesthetically pleasing to the eye. Make no mistake however these little sirens are very loud when they are sounding! 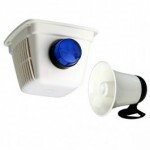 This is the outdoor siren fitted to all Gronbek alarms. The strobe light is easily seen from a distance and the horn lets would be thieves know that someone knows what they are doing. 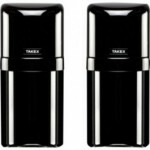 The horn is encased in a strong UV proof polycarbonate casing. ✔ Itemised List of Inclusions. No hidden costs.